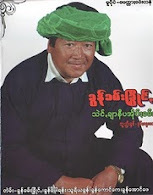 Taunggyi Time (ေတာင္ႀကီးတုိင္းမ္): Does Myanmar Want Nuclear Weapons? There is no doubt Myanmar has a nuclear program. It sent scientists, technicians and army officers to Russia for training in recent years. And Moscow has agreed to supply Myanmar, formerly Burma, with a small nuclear reactor for civilian use. The question is, do the Burmese generals want a nuclear weapon, too? Even as he tries to keep his domestic program from falling apart, the president has to pay attention to threats abroad. And this morning, we have a hint why the U.S. may need to pay attention to Myanmar. Last week, we heard from a Virginia senator, who visited that country. Here's one reason why that engagement matters. Myanmar, like Iran, has a nuclear program. MICHAEL SULLIVAN: There is no doubt Myanmar has a nuclear program. It sent scientists, technicians and army officers to Russia for training in recent years. And Moscow has agreed to supply Myanmar with a small nuclear reactor for civilian use. None of this is disputed. The question is do the Burmese generals want a nuclear weapon too. Mr. BERTIL LINTNER (Yale Global Online): It is quite clear, I think, that although the Burmese may not have a bomb or even a nuclear capability - no, not yet - they're certainly interested in acquiring one. SULLIVAN: That's Bertil Lintner. He has written extensively about both Myanmar and North Korea from his base in Thailand. Mr. LINTNER: And they're seeing how the North Koreans have been able to stand up against the Damascus and the rest of the world because they are nuclear armed. And they would like to have the same kind of negotiating positions. SULLIVAN: Lintner's recent piece in Yale Global Online detailed the growing defense ties between the two countries and the elaborate underground complexes Myanmar's generals are building with help from North Korea. The tunnels, and the reports this summer - ships from North Korea with mysterious cargos bound for Myanmar - have many countries concerned, including the U.S.
Secretary of State Clinton speaking last month in Thailand. Secretary HILLARY CLINTON (Department of State): We know that there are also growing concerns about military cooperation between North Korea and Burma, which we take very seriously. It would be destabilizing for the region, it would pose a direct threat to Burma's neighbors and it is something as a treaty ally of Thailand that we are taking very seriously. SULLIVAN: But the ship may have already sailed. Interviews with defectors, done by Professor Desmond Ball of the Australia National University's Defense Study Center and journalist Phil Thornton, suggest Myanmar is already well on its way with two reactors already in place. One of the defectors who worked for a prominent Burmese businessman with close ties to the military, says his former boss helped transport materials from North Korean ships to the remote nuclear sites. Unidentified Man: Their first intention is with the help of North Korea, they produce U235. If they get U235, (unintelligible) not so difficult. If they can arrange UF6, they can make the nuclear bomb. SULLIVAN: Phil Thornton says he believes the defector's story to be both credible and worrisome, since it matches what other defectors interviewed in Thailand has said. Mr. PHIL THORNTON (Journalist): Professor Ball has estimated, based on the defector's testimonies, that it could be about 2014 that may have enough nuclear material to start thinking about a weapon. SULLIVAN: Myanmar, of course, denies any weapons program exists, but seems unusually sensitive to the recent publicity about the issue. Virginia Senator Jim Webb says it came up during his meetings with Myanmar's leadership ten days ago. Senator JIM WEBB (Democrat, Virginia): I did not directly raise the issue of the nuclear program. It was raised to me by a high governmental official, basically saying, you know, we would never move toward a nuclear weapons program. SULLIVAN: These denials, of course, are met with a great deal of skepticism by those who follow the growing relationship between North Korea and Myanmar. But analyst Bertil Lintner still isn't convinced Myanmar has even one reactor, let alone two. There is no concrete evidence, he says, that the Russians have delivered the reactor they promised, nor, he says, is there any hard evidence the North Koreans have either - though satellite images do show construction around Myanmar's suspected nuclear sites. What is clear, Lintner says, is that Myanmar's main ally, China, is well aware of Myanmar's nuclear ambitions. Last year's clandestine visit to North Korea but a senior Burmese general, he says, proves it. Mr. LINTNER: He passed through China on his way to North Korea, back again. On his way back from North Korea, Shwe Mann and his entourage had meetings with high-level officials. It was almost as the Chinese were, not only aware of what this trip through North Korea, but they were closely involved in it. See, it's very convenient for the Chinese to be able to say, we're not doing this. This is the North Koreans. We can't control them. It's kind of a sort of plausible deniability. But there's definitely Chinese complicity in this new corporation between North Korea and Burma. SULLIVAN: Something else for the U.S. to think about as it considers a review of its policy toward Myanmar, amid the ongoing tug-of-war with North Korea over its nuclear program.